Turbine Oil Purifier - GlobeCore. Oil Purification Systems. viscosity (to increase oil viscosity). Oil ISO 4406 purity class – -/14/12. 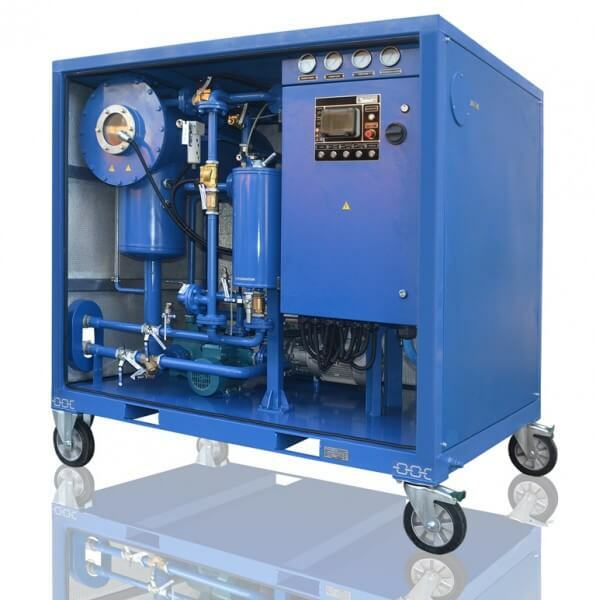 This unit can process turbine oil with viscosity below 280 mm2/sec at 50oC. During long term operation, the metal parts and components of turbine equipment are influenced by air, water and high temperature. Oxidized turbine oil gradually changes color from red to black and develops an unpleasant odor. Sludge forms in the oil, acidity grows, along with corrosion, foaming and formation of emulsions. The lubricant becomes unusable. There are many ways to purify contaminated turbine oil, but the most efficient ones are centrifugal, filtration and adsorption processes. The first method is based on the action of centrifugal forces to separate water and other impurities from the substance. Filtration involves separation of impurities not soluble in oil when the oil passes through filters. Paper, cardboard, fabric, felt etc are commonly used as filtration media. Combined turbine oil purifier often involves press-filter and centrifuge processing. The third common method is adsorption. Adsorbents capture and hold low molecular and organic acids as well as other impurities from the oil. Used turbine oil can be purified using special equipment. GlobeCore manufactures the CMM-4T unit for heating and filtration of turbine oil. 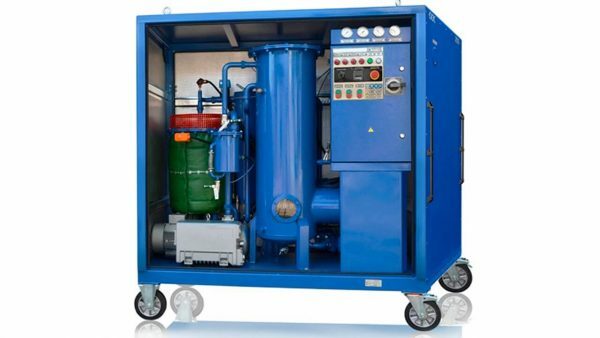 СММ-4Т is equipped with oil input and output pump, a vacuum chamber, a vacuum pump, coarse and fine filters and a control cabinet. The unit is installed in a container on a trailer. 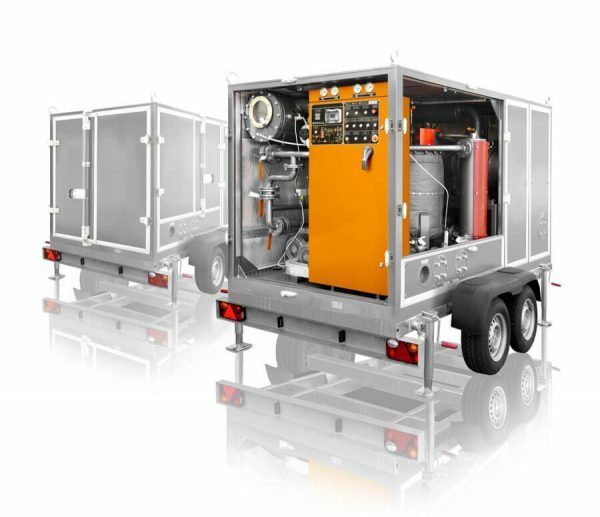 It is compact and mobile; the unit can be towed to the turbine by automobile. Turbine oil purifier in the GlobeCore unit is performed with vacuum treatment for higher degree of purification. Beside particulate matter, the process removes solved water and gases from the oil. The equipment operates at the rate of 4 m³/hour with materials with viscosity below 280 cSt at 50 0C.